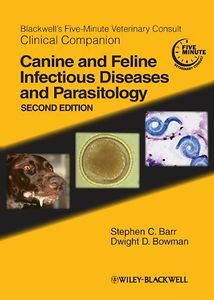 Blackwell’s Five-Minute Veterinary Consult Clinical Companion: Canine and Feline Infectious Diseases and Parasitology, Second Edition takes a user-friendly alphabetical format to cover a wide spectrum of canine and feline infectious diseases and parasite-related disorders. Part of the popular Five-Minute Veterinary Consult series, it includes information on many specific organisms and diseases, from amebiasis and Ehrlichiosis to rabies and ticks. 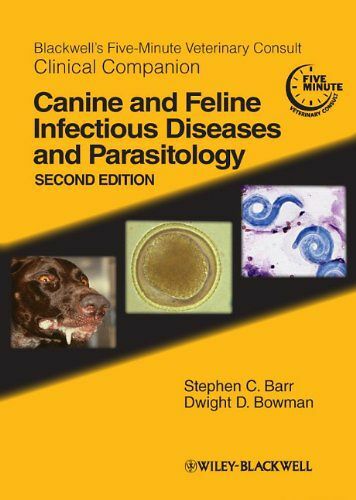 The text also provides extensive differential diagnostic lists, as well as information on drugs, dosages, toxicity, treatment options, diagnostic testing, immunization recommendations, and cytological appearance.